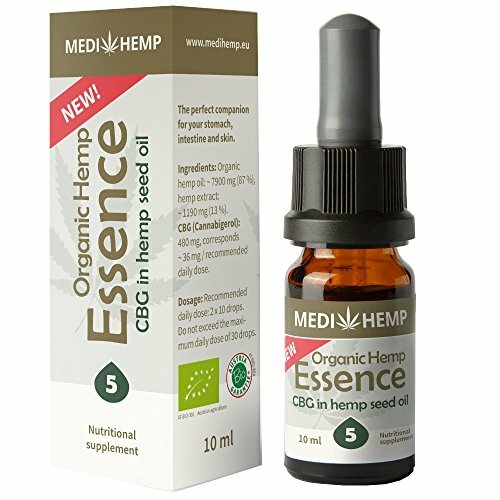 5% CBG Oil Drops Tincture – 500mg Cannabigerol in Hemp Seed Oil – 10ml. CBG (Cannabigerol): 480mg, corresponds ~ 36 mg / recommended daily dose. Dosage: Recommended daily dose: 2 x 10 drops.